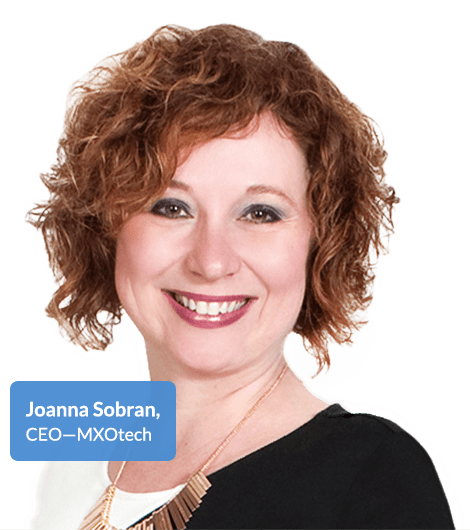 Technology Solutions for Associations & Non-Profits - Chicago, Oak Park, Evanston | MXOtech, Inc.
A great Technology Partner understands that your priority is in fulfilling your mission. needs. Whether it's keeping your network up and running to eliminate downtime or implementing the right software to keep your systems talking to one another, your technology needs are our top priority. We will help you leverage technology to propel your mission and operational performance through solutions that drive growth and efficiency. We Work Best When We Work Together. Your Technology Is Our Mission. 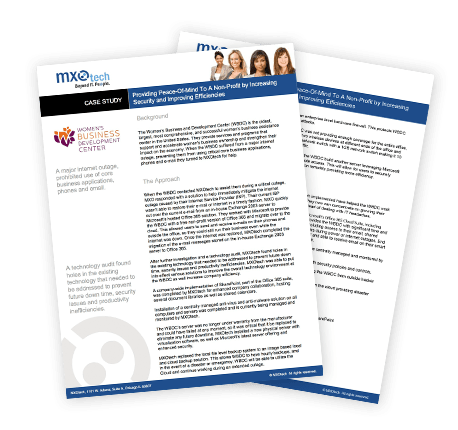 Whether you are an industry association or local non-profit organization, MXO has the expertise to help you find the software solution that’s right for you. Putting up with an application that you are struggling with is more than just annoying – it’s a waste of your time and resources and it’s keeping you from your mission. Your technology should be serving you – not the other way around. It’s OUR mission to help you determine what’s best for your organization and create a roadmap to gain the efficiencies that your systems should afford you. Learn how we provided Peace-of-Mind at the Women’s Business Development Center (WBDC) by increasing security and improving efficiencies.